Give your wood flooring new luster with wood floor refinishing from Dave’s Affordable Wood Floors. When it comes to deciding what type of flooring you would like to get for your home, wood flooring is always a good choice to consider. It is inexpensive, durable, and easy to clean and maintain. It is also easy to lay carpet on wood flooring and remove the carpeting when it is time for a change. For high quality wood flooring that will easily fit your budget, Dave’s Affordable Wood Floors in Mystic, CT has you covered. The wood floors that you will find here are made out of carefully selected, high quality wood that is guaranteed to last for years. This flooring is perfect for just about any room in the house, such as the living room, dining rooms, or bedrooms. To make your floor look its best, Dave’s Affordable Wood Floors also offers wood floor repair and wood floor refinishing. If you have had a wood floor for many years and the floor has signs of damage, you can trust us to repair the floor to its original state. 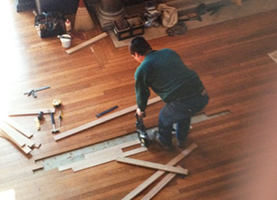 Wood floor refinishing is another service offered for renewing older floors. 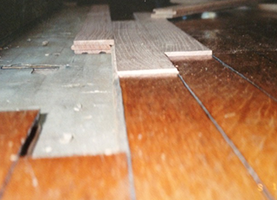 Not only can you get new wood floors here, Dave’s Affordable Wood Floors can restore your older floors to brand new. Dave's Affordable Wood Floors is your go-to flooring contractors for everything related to wood floors, whether it is repair, refinishing, or purchase of a new floor. 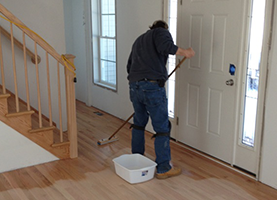 When you have any questions regarding the upkeep of your current wood floor give us a call.